Is Snapchat the new Instagram? This is probably one of the things that happen in the tech world. Old devices are phased out as new technologies rolled in. Instagram probably dominated our lives and social media accounts for almost two years. Instagram is a unique social media platform where our photos speak for themselves. I served as a very fun platform to those who like to take pictures. Our eyes were already accustomed to its sepia-like color. I also have friends who link their IGs to their Facebook and Twitter accounts so the same face, sometimes, appears in three different accounts (please have mercy). But, a new app is taking over our smartphones late last year. It’s Snapchat! Snapchat is a photo messaging application that allows users to take photos, record videos, add text and drawings, and send them to a controlled list of recipients. These sent photographs and videos are known as “Snaps”. Probably, one thing that separates it from other apps is that the photo or content is viewable for a limited time. Users can set a time limit for how long recipients can view their Snaps. After the said time limit, the photo will be hidden from the recipient’s device and will be deleted from Snapchat’s servers. Snapchat became popular to teens and early twenties who were also notorious in taking selfies. The app is used mostly to take selfies or self portraits (yes, those narcissistic photos we are all guilty for in taking). Creators said that Snapchat users usually share a photo in groups, which is obvious since youngsters want to share their photos with their friends. Recently, news that personal and confidential information of Snapchat users were leaked to the web and the security measures undertaken by the creators were questioned. 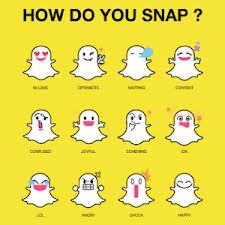 Snapchat assured users that it is improving its app and security to avoid the same incident. Actually, I haven’t tried both apps yet. You might say that I may be living in a cave. I am just not a fan of taking photos of myself. Also, I prefer to print the photos I took and place them neatly in an album because my mother is not the biggest fan of technology. Have you tried Snapchat? What are your thoughts about it? Let me know in the comments section.